A Digital Single-lens Reflex camera or DSLR camera is bigger, heavier, and more expensive; those who buy it usually want to choose the settings instead of letting the camera doing it for them. Several DSLR cameras don’t even have other features such as built-in flash, GPS, wifi, Bluetooth, video recording capabilities, etc. Moreover, DSLR cameras make a noise when taking a picture, you cannot turn it off. So knowing all this, why do people buy them? Perhaps some may ask what’s wrong with these people? Well, there isn’t anything wrong with that, the difference is that a DSLR camera has major and different capabilities than a point-and-shoot camera. Let’s look at some of them. There are many DSLR cameras. 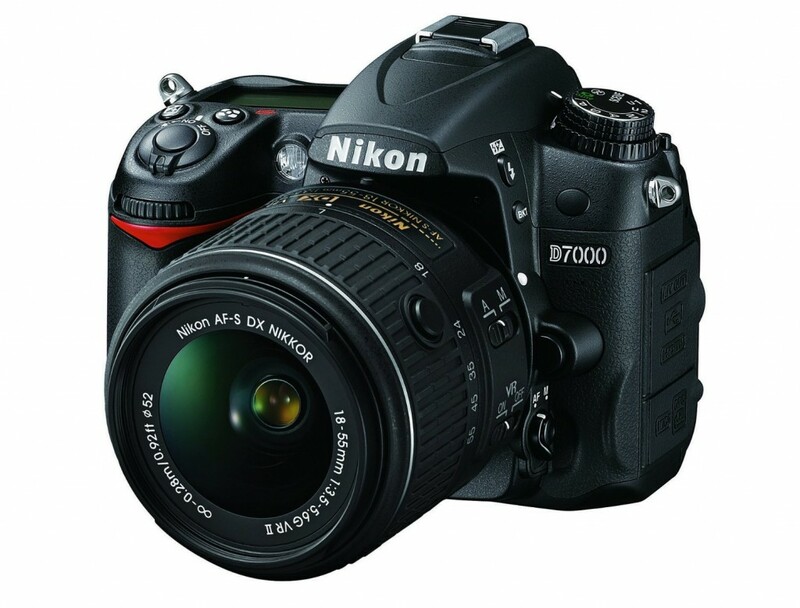 This one is a Nikon D7000. Before I go into the function of the mirror, let me tell you about a small window or “hole” that many cameras have. That small window is called viewfinder. It is used to look through it and see what are you going to take a picture of. 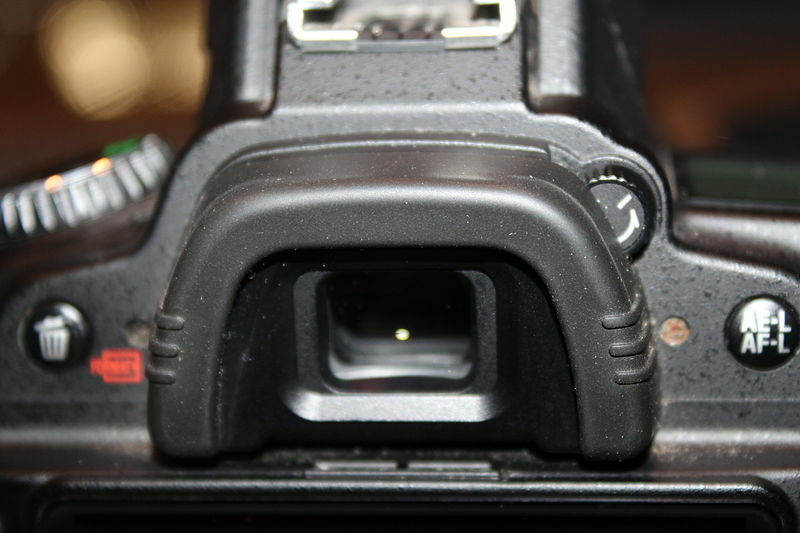 A DSLR camera uses a small mirror box inside the body. This internal mirror box reflects the image of whatever you are going to take a picture of so you can see it through the viewfinder. So when you look through a DSLR camera viewfinder, you are actually seeing a reflection received and sent by the mirror box. Think of a small periscope with a couple more mirrors. ***Image of mirror and periscope. Once you take a picture, the mirror is moved out of the way so the image can be captured into a sensor behind the mirror. Perhaps one could think, the mirror sounds too complicated. Why not just a simple window to look directly as shown on this image below? Some cameras have it that way. But technically they are not DSLR cameras. Cameras that have a direct viewfinder as shown in the image above produce something called parallax (don’t worry, you can forget that big word), which means that what you see may not be the exact same image captured by your camera. Perhaps is not very obvious at first, but the closer your subject is, the more you will notice it. If you want a simple example, look at the image below. Someone puts his thumb in front of the camera to be photographed, but oh, surprise, if you look through the viewfinder, you won’t see your thumb unless you move it up, and if you move it up, your camera will capture part of your hand below your thumb. There is usually a display lag or time interval between what happens in real time and what the LCD screen shows you. Nowadays, as technology advances, display lags are becoming less perceptible, but still present. Display lag happens because a camera takes some time to process the image is receiving and send it to the LCD screen. This process takes longer than reflecting an image on a mirror. Thus the optical viewfinder is a lot faster. There isn’t any computer processing involved, just real time looked through a mirror. If you need to take precise shots (especially when things are moving fast) or if you want to shoot the picture you want to shoot at the moment you want to shoot, a DSLR viewfinder is a lot more precise than a LCD screen. Another advantage is that seeing through the viewfinder you see things as they are seen with your eyes, not as it is shown on the LCD screen, which quality can vary greatly depending on the LCD screen type. Looking at the LCD doesn’t always happen in the most optimal conditions. Take your phone out in the bright sun for example, how comfortable and bright is it looking at it under the sun? A LCD screen has the same problem, you won’t always be able to see it clearly under competing light. And don’t forget undesirable glares either. And finally, a LCD screen also consumes a lot more of your battery power. You would have to recharge your battery more often. DSLR cameras also have a larger sensor than a point-and-shoot camera. A larger sensor is taught to be better to take higher quality pictures. This difference is especially obvious when you compare photos of a point-and-shoot camera and DSLR camera in low light conditions since point-and-shoot camera photos will end up looking grainy. The image sensor in a DSRL camera has a more precise exposure meter when measuring light so you can have better control on light and light in your pictures. A larger sensor will be also better in case you take pictures of complicated combinations of dark and light zones in the same image. DSLR cameras are also fast. They can be ready to take a picture instantly. You can turn on a DSLR camera, focus and shoot immediately while on a point-and-shoot camera you would usually have to wait for the camera to turn on. Once it is on you would have to focus and that would also take slightly longer, and if that’s not enough, you would also get a shutter lag. A shutter lag is when you press the button to take a picture, but the camera actually takes some fractions of a second later to take the picture. Sometimes that delay can cost you really great spontaneous shots. I have been able to take some unexpected pictures thanks to the readiness of my DSLR camera. 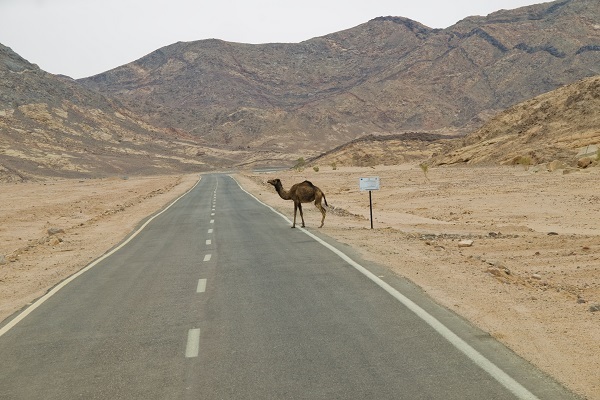 With a DSLR camera you can turn your camera on immediately to take unexpected shots like this one in Sinai Peninsula, Egypt. Another major feature of a DSLR camera is that they use interchangeable lenses for versatility. This means that you can change the way you see things through the viewfinder by changing the lenses. Some lenses make things look closer such telephoto lenses. They are great in case you want to take a picture of a lion or a bear from far away and you don’t want to be next to them. Other lenses are the exact opposite, they are macro lenses, which let you capture things in an extreme close-up so you can see textures and other small details that we don’t normally see in plain sight. There are also lenses that let you capture a lot of any place without you having to move farther back. There are many types of lenses. This is why DSLR cameras give you great versatility. If a lens doesn’t give you enough, you can get a different lens later without replacing your camera. Another advantage of a DSLR camera is its adaptability and ergonomics. With a DSLR camera you can focus on anything your eyes want to focus on without letting the camera decide for you. You can let the shutter open for minutes so you can capture star trials or city lights in movement. You can take several continuous shots within a second. You can use a wide variety of flash mounts, filters, and other accessories.